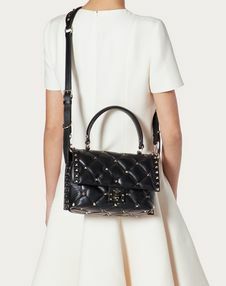 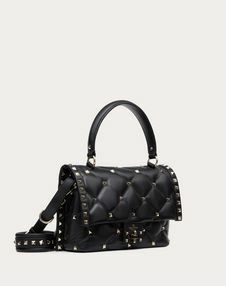 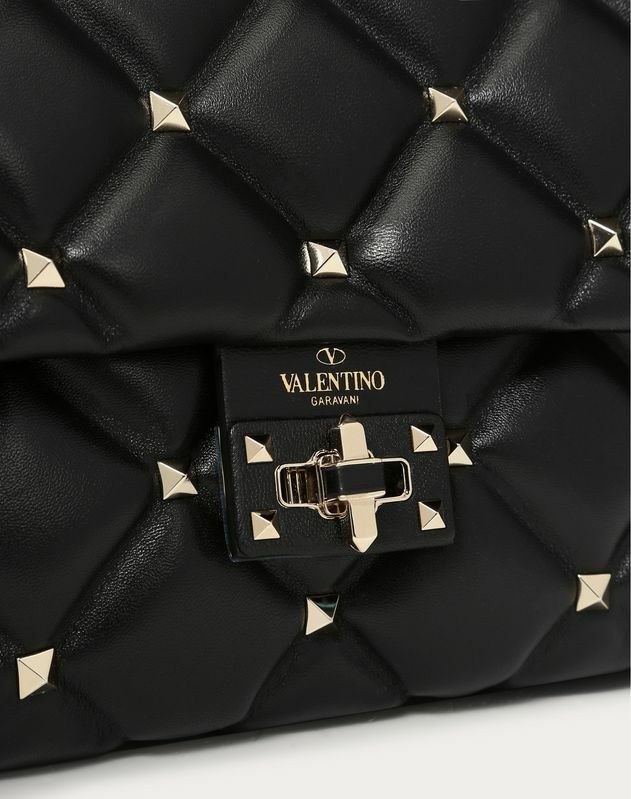 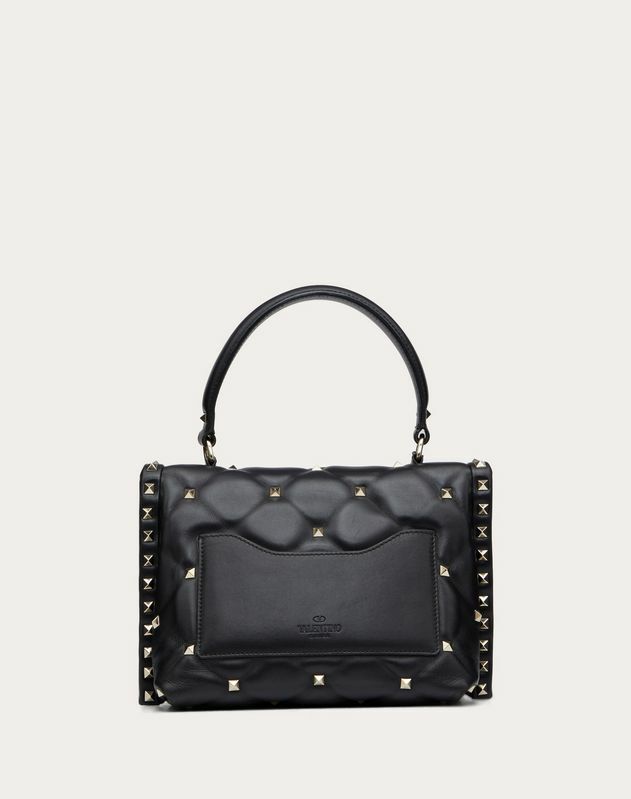 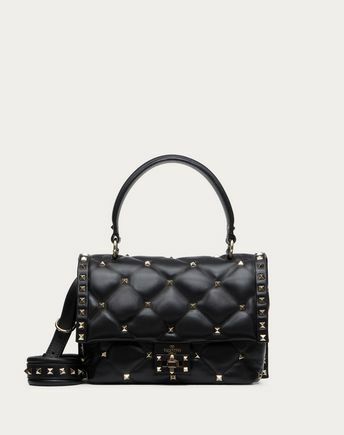 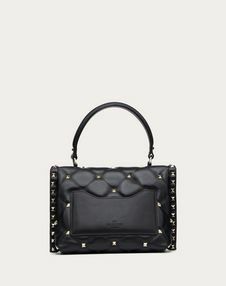 "Valentino Garavani Candystud top handle bag in supple lambskin leather with platinum-stud trim. 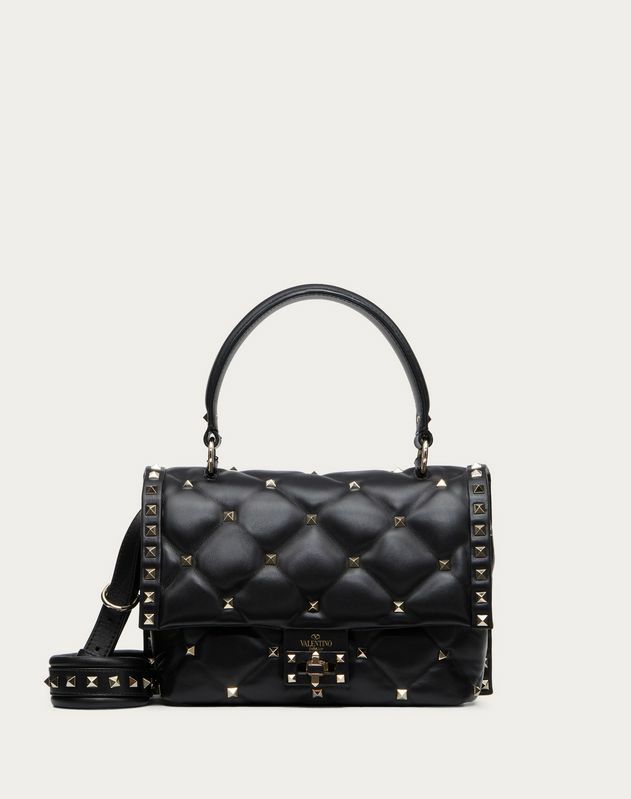 Rhombus capitonné quilting with stud detailing.- Platinum-finish studs and hardware - Leather-covered twist lock closure - Adjustable and detachable shoulder strap - Cotton lining. 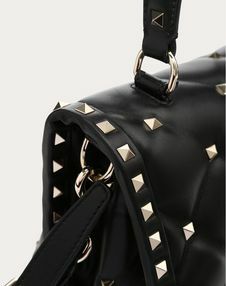 Inside: one zipped pocket and two flat open pockets.